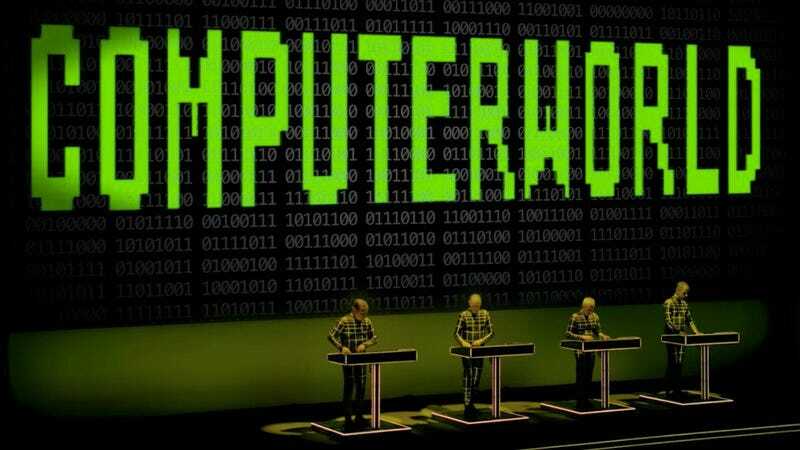 Kraftwerk has spent the last few years touring its massive multimedia show 3-D the world over. But if you didn’t happen to make it to one of these legendary performances, or if you did and want to commemorate it properly, you’re in luck: The band will release an extensive audio-visual documentary of the tour titled Kraftwerk 3-D The Catalogue. Filmed over 2012 and 2016, The Catalogue will feature performances in art galleries and museums across the globe and will be available on DVD, CD, vinyl, and digitally. The deluxe vinyl box set will feature eight of the band’s most iconic albums: Autobahn, Radio-Activity, Trans-Europe Express, The Man-Machine, Computer World, Techno Pop (originally released as Electric Café), The Mix, and Tour De France. And the deluxe, four-disc Blu-ray edition will include a 236-page hardback art book containing computer-generated images from performances as well as unseen photos.